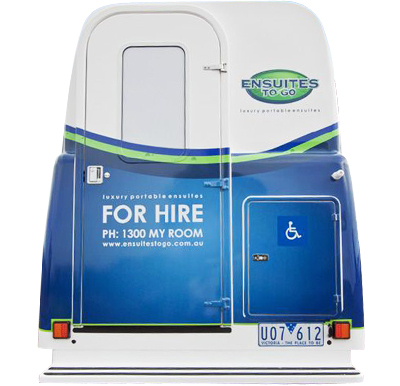 Are you looking for affordable portable ensuites to hire in Melbourne? If yes then this is the perfect place where you will find the desired solution. Ensuites To Go is the leading name for portable luxury ensuites solutions in Australia offering best solution for all the hygiene and sanitary needs. The mobile ensuites offered by Ensuites To Go are in accordance with the Australian hygiene and safety regulations. Therefore for all the needs such as special events, renovations, garden weddings or housing guest, you have the best and most affordable solution. We offer portable ensuites hire services so that you can get the complete sanitation and hygiene solution regardless of the place you are at. We are aimed to offer premium quality services to our customers so that they get a comfortable and luxurious experience just like home. The design of our ensuites is done keeping in mind the convenience and comfort of your guests and family so as to offer them with fully operated, hygienic and clean portable ensuites. You can hire luxury portable ensuites that are best suitable in number of situations such as parties, renovations, wedding or arrangement of stay for extra guests. The connections to water, power and sewage are flexible offering quick set up of the ensuites at location. There is no need of chemicals as our ensuites are easy to clean and hygienic and therefore offer a pleasure experience. We offer luxury portable ensuites having wide number of deluxe features such as heater, disable toilet, mirror, twin shower, pull down seat, backup battery, hot water system and access to wheelchair with wide doorway. The ensuites offered that we provide are totally wheelchair friendly as well. Our team devotedly works to ensure that a pleasing and reliable bathing experience is enjoyed by our customer. With team of dedicated experts and years of experience in the industry, we come up with wide range of premium portable ensuites to hire. You can rest assured of getting professional services including everything from delivery at desired location of mobile bathroom, portable ensuites set up and collection when the requirement is over. There is no need of any type of special requirement or permit for our ensuites. We offer ensuites that are easy to install, have no smell, toilets fully flushable, luxury fittings and disable friendly and these are offer at competitive prices. We have a complete range of luxurious ensuites hire in Melbourne to meet your demands for occasions of any size.